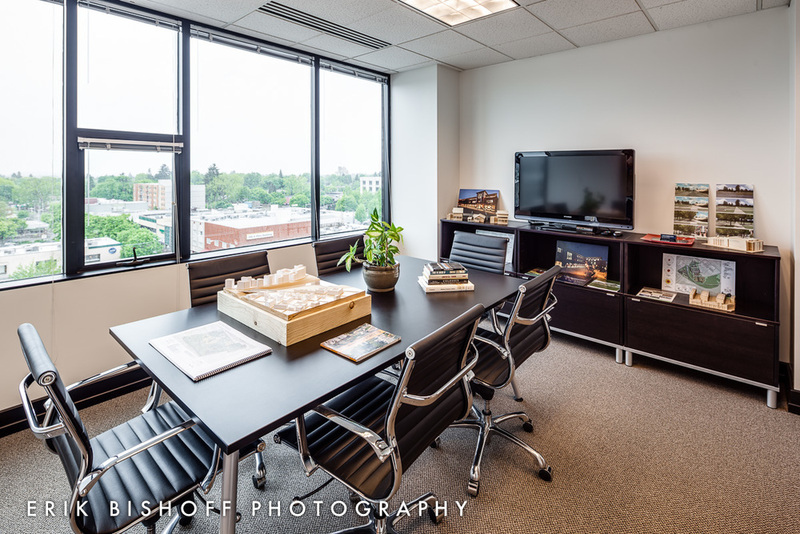 Thanks for visiting Erik Bishoff Photography. If you're interested in hearing more about me, my rates, and my style, please feel free to contact me directly by text or voice at 541.543.9322 or by email at info@erikbishoff.com. I'm currently working out of Studio 385 in Eugene. Drop me a line if you'd like to come by for a visit. Cheers! 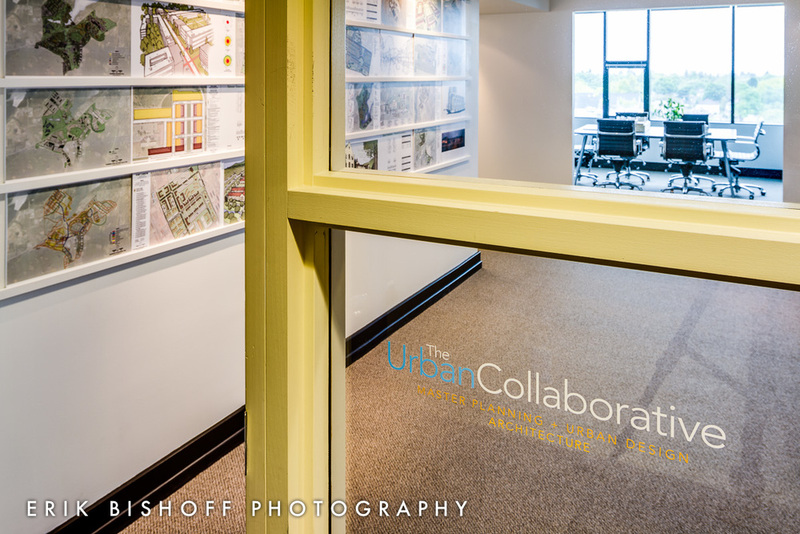 I was recently contacted by local Planner and Architect Mark Gillem of The Urban Collaborative (http://www.urbancollaborative.com) to photograph his offices in the US Bank building here in Eugene. 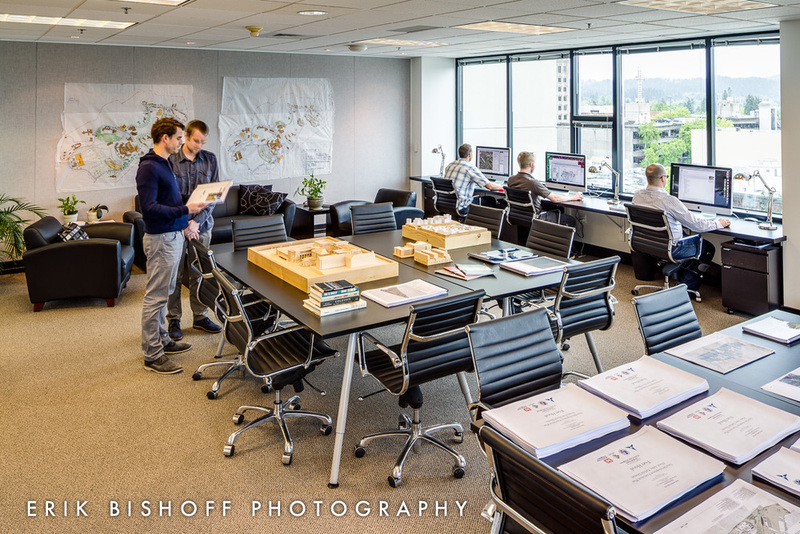 The goal of the shoot was to capture the modern look and feel of the space as well as the impressive view while showing the designers work in the process. 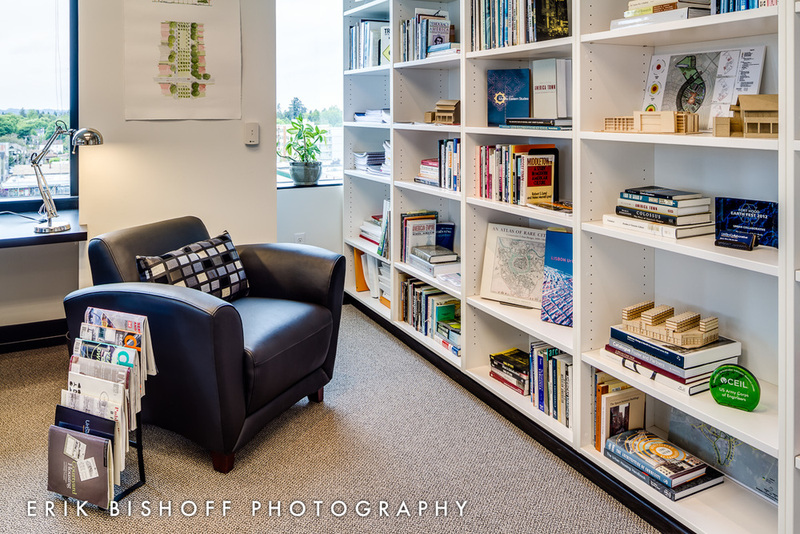 The office is a working office so there was some challenge to capturing the space while allowing the staff to continue their work while on a tight deadline. 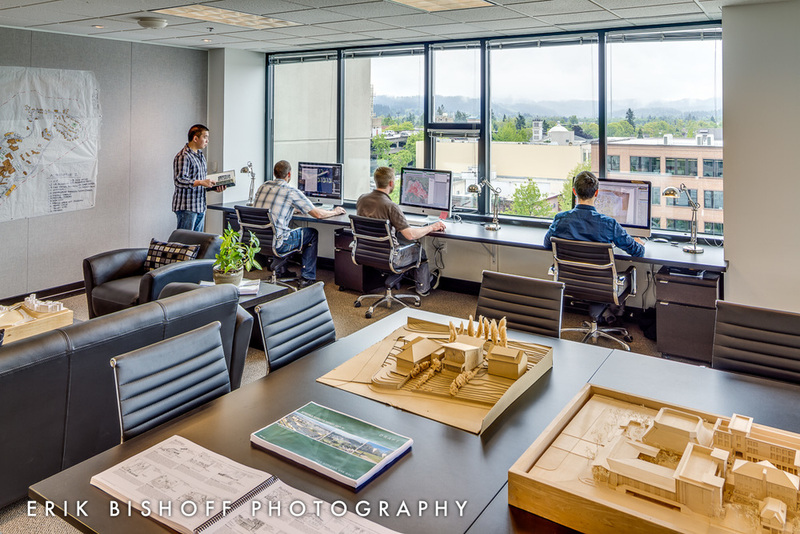 I appreciate having the opportunity to use people in architecture photos to help illustrate how the space is used and to provide a human scale.